I knew I would be taking part in the Summer Sweater KAL, that's a given. But when I heard Brooklyn Knitfolk's Jaclyn talk about how over "fade" projects she is and how she's starting the Hipster KAL for lesser known knitting designs, I had to join in. The only requirement is that it be a substantially sized knit and that it have less than 30 finished projects on Ravelry. 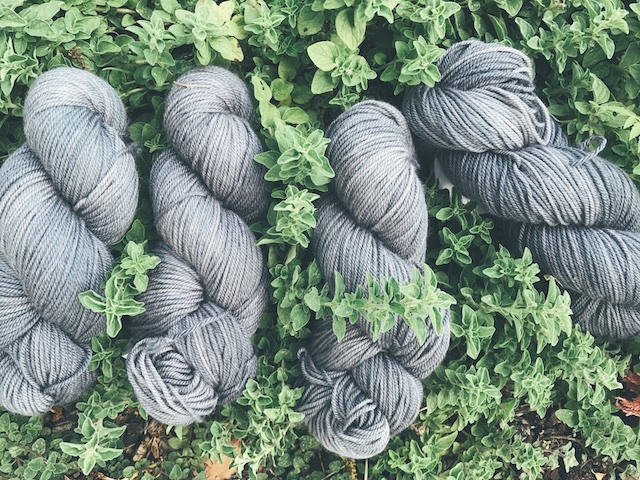 You get an extra entry in the giveaway if you knit with a yarn brand you've never used before. This is the Madelinetosh 80/10/10 Sport- not a new brand, but still really nice. I'll be using it for my Heritage, which will work for both SSKAL and the HipsterKAL. It was hard for me to believe it had under 30 projects at the time I posted that I'd be knitting it, but it did. I have a feeling it's FO count will be rising, so I'm glad I called dibs before it hit the 30 mark. Remember how I wanted Feya to come right after Heritage. Well, it has a low project number, too. I don't really get why. 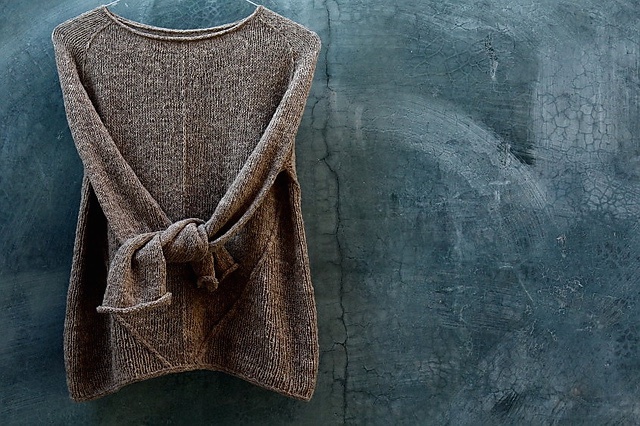 It's classic, plus oversized- which has a huge following again. It's an Amy Christoffers pattern, for goodness' sake. Anyway, I'm throwing it into this KAL, too. Being bulky and stockinette, I might finish it in less than two weeks. My yarn is Cascade Tivoli, a new one for me. The color is somewhere between a blue-green mixed with a grey. It's a wool/ silk blend, so it might keep this from veering too hard into frump territory, a place I often visit. 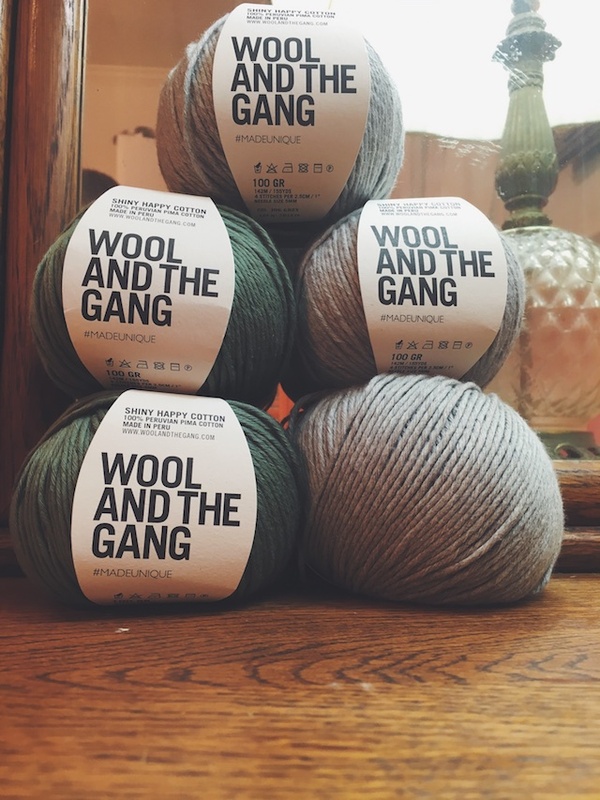 Anyway, were I to knit like the wind and finish both before the KAL ends, or even if I don't, I've been wanting a Primo Sweater, from Wool and the Gang, for a couple of years. 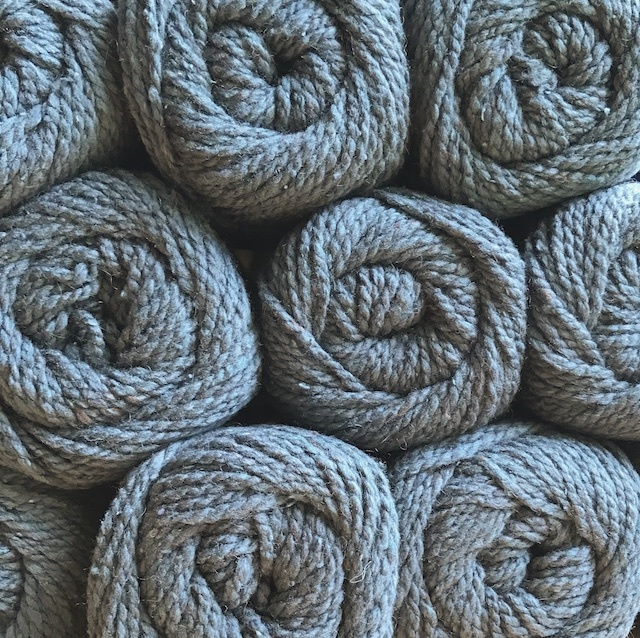 I actually have some of their cotton in grey and army green to knit it. I can see this being a lot like my Julia Sweater, but cropped and with color blocking. Yes, I'm making the change to cotton blends more and more. I've accepted that I won't be moving in the next five years... or maybe ever, so cotton it is. Okay, now this one, below, is just awesome. 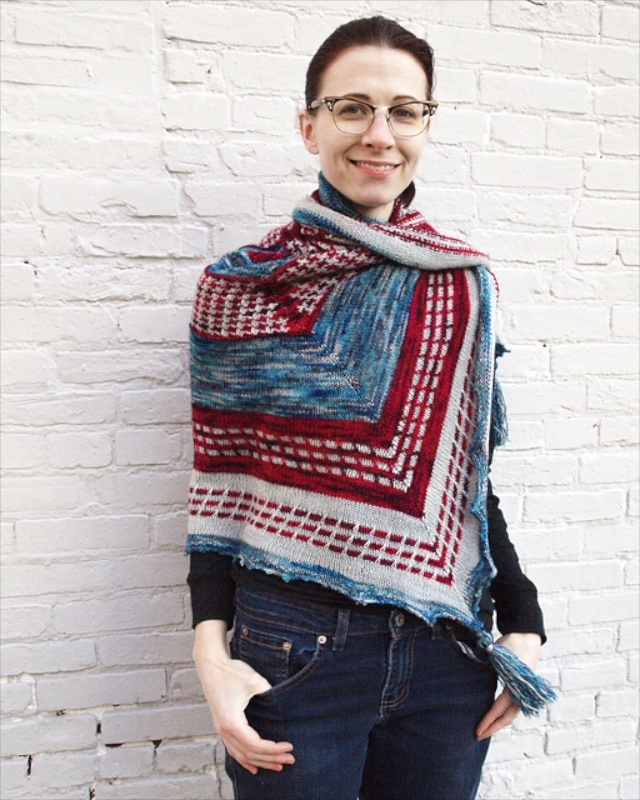 It's a rectangular shawl by Ann Weaver that is part shawl, part wrap, part throw, part stadium blanket. It's the perfect thing for me to wear around my neck to football and soccer games this coming school year. 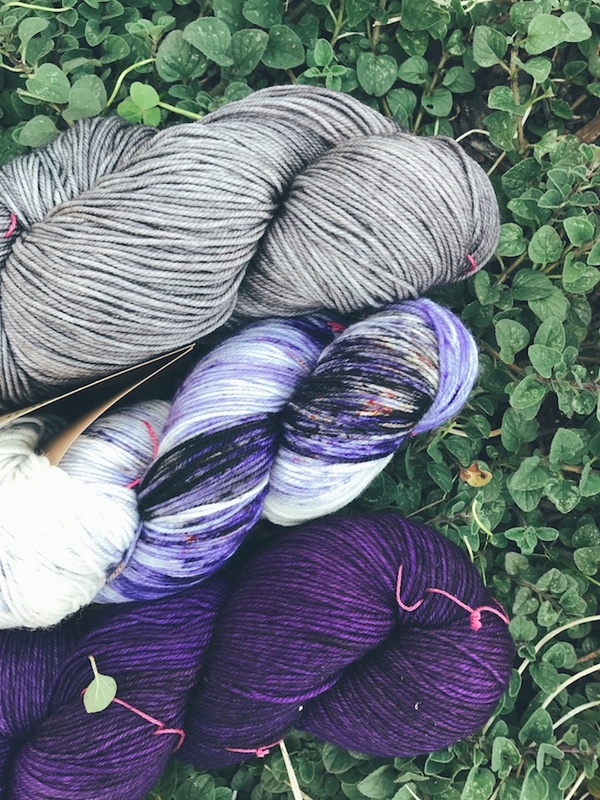 And my yarn combo, also madelinetosh, includes purple and white, which is our football-obsessed town's high school colors. I'll look like the rest of the football freaks, but I'll secretly just be a knitting freak. Just look at it unfurled! 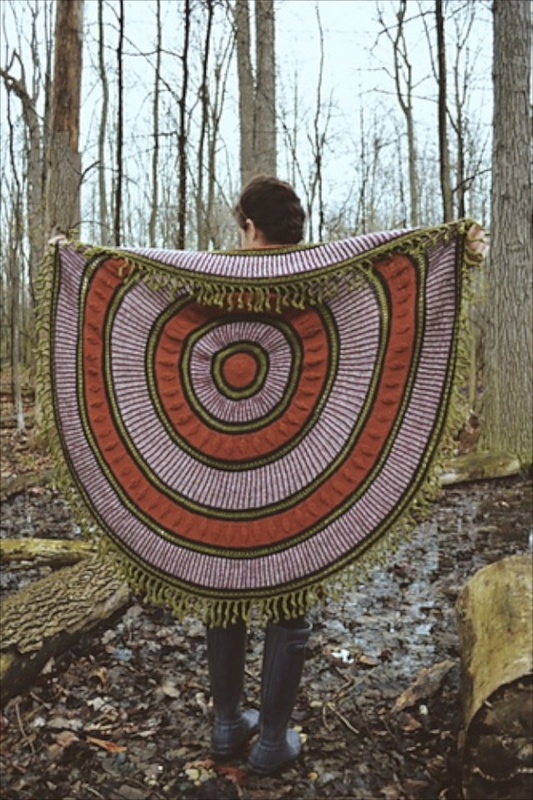 It makes me think of another incredible, graphic shawl I saw on the Hipster KAL thread: Wild Mystic. How, how can there only be four of these in existence?! 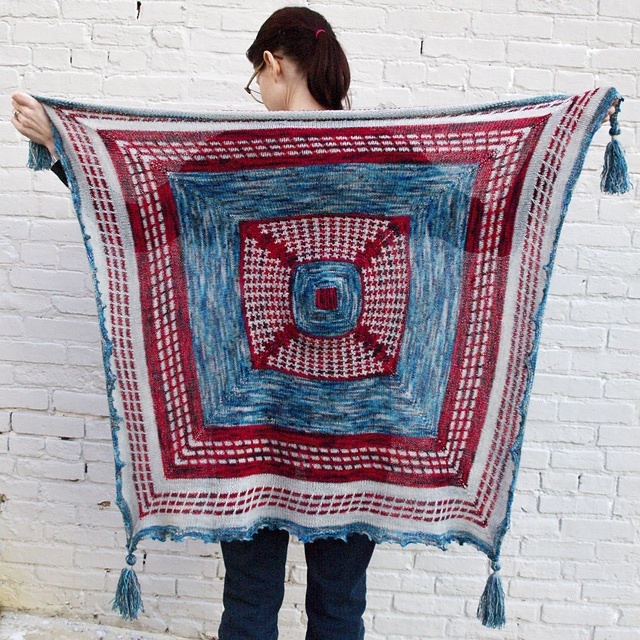 This would absolutely make a fantastic throw or bedspread! So between this post and the last, the rest of my summer, and possibly my year, seems to be mapped out. 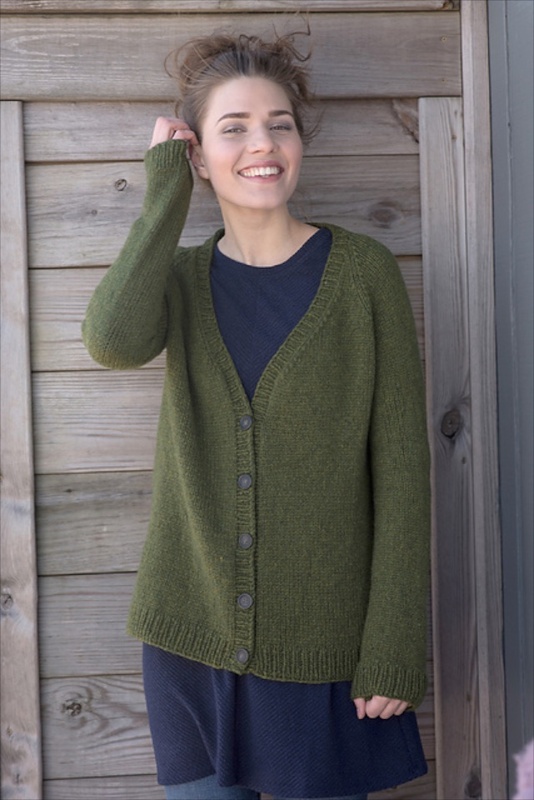 Do you have any hipster knits that are awesome, but not so well-known in your queue? Tell me. Let's enable each other.